Speedy’s background was in welding and fabricating. He also served as Plant Manager and Safety Coordinator for a multinational chemical manufacturing company in North Georgia. He founded Speedy Clean LLC. Speedy Clean is full service power washing company with the primary focus on Commercial Kitchen Exhaust cleaning. Mr. Laster is a member of the National Fire Protection Association (N.F.P.A.). 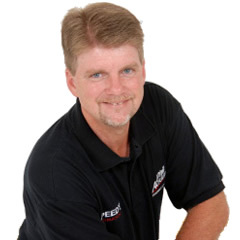 Mr. Laster joined Phil Ackland Inc. in 2007 as an Instructor; training individuals for commercial kitchen exhaust cleaning. In November 2008, Mr. Laster received his credentials from Mr. Ackland to teach the Fire Inspectors Course and has taught the Inspectors course at numerous locations across America and the Orient. He also provides hands-on inspection services. Credentialed Instructor for C.K.V.S. service technicians for Ackland and Sander Consulting. Credentialed Instructor for Fire, Building, and Insurance Inspectors. Conducted the Inspectors Course, training civilian and military personnel in the U.S, Canada, Great Britain, and Southeast Asia. Contributor in the re-writing of the Cleaning Course Training Manual and Exam. Contributor in the 5th publication of the Inspectors Training Manual. Contributor in the Guide for Commercial Kitchen Fires. Servicing the full gamut of commercial kitchens, independent owners, fast food franchises, national chain restaurants, gourmet restaurants, child care facilities, and health care facilities. Consulted with facilities management to improve fire safety in C.K.V.S. Served as a consultant for CTM Consulting, for solid fuel restaurant fire. Responsible for daily operations of manufacturing, close interaction with human resources, daily interaction with customer service, and responsible for setting yearly operational budget. Assisted with the lay out and implementation of automation process that allowed a 66% reduction in work force and 47% increase in production. Served as Plant Safety Coordinator setting a divisional Safety Record during this time.